Ella’s childhood is charmed. She lives happily with her mother and father. They teach her to be kind, have courage, and believe in magic. Tragedy strikes, and keeps striking, when Ella’s mother dies unexpectedly from an illness. Ella’s father spends the next several years sad. Then, he becomes remarried to Lady Tremaine, Ella’s new stepmother. 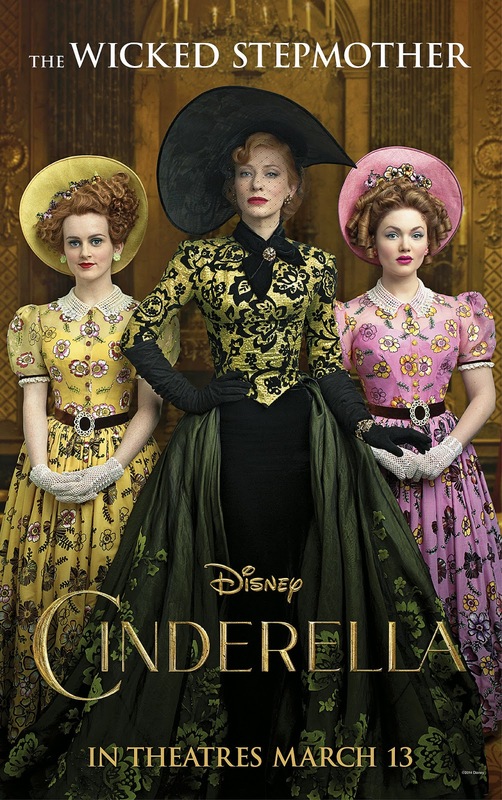 The stepmother’s two daughters, Anastasia and Drizella, do not take a liking to Ella. Shortly after the marriage, Ella’s father also dies while away on business, leaving Ella in the care of (or rather, at the mercy of) her stepmother and two stepsisters. They make her do menial work and exclude her from the rest of the family. They rename her “Cinder-ella” because of how dirty she gets while doing the work. 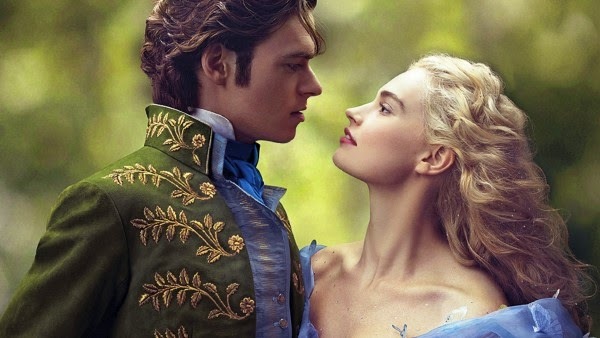 Cinderella runs away into the woods, where she finds a handsome young man. She leaves without giving her name, so he sets up an elaborate ball to try to find her. 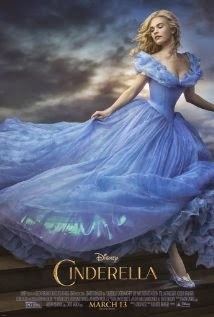 With kindness, courage, and a little magic, things will probably work out for Cinderella. OK, I mean, spoiler alert, but I’m thinking you probably already know the story. This film is paired with a charming Frozen short film, where Elsa attempts to throw a surprise birthday party for Anna. It’s lighthearted and fun, and most young kids in the audience will like it. Ella experiences the loss of both parents, and is raised by a family who is not related to her – and the new family gives her a new name. After her mother’s death, Ella clings to one of her mother’s dresses, because it helps Ella feel a little like her mother is still there. Ella is able to say goodbye to her mother. She is able to give her consent to her father’s remarriage. While Ella’s life does get very hard, these are two positive things. Ella remains kind and courageous, even when life is hard. Ella has a very positive relationship with her father. Her life is impacted for good by her mother’s influence on her, even after her mother dies. Ella’s mother dramatically falls ill on camera. Ella is able to mourn her mother’s impending passing, holding tightly to her mother. Her mother tells her, “I must go very soon, my love. Please forgive me.” Ella tearfully says, “Of course I forgive you,” and then the family tearfully embraces on her deathbed. While, for Ella, this might be a helpful aid in the grieving process, it might very, very sad for young children in the audience, or for viewers who have lost a parent to death. Some viewers might find the subsequent death of Ella’s father also very sad. *Spoiler alert but not really* Ella falls in love with the Prince. His father is also dying. In fact, the only parental figure in the whole film who doesn’t die is Ella’s stepmother. Ella’s stepmother hides away all of the mementos of her birthmother. Viewers who have been abused might be triggered by the way that Ella’s family mistreats her, even referring to her by a new, insulting name, which is somewhat reminiscent of the treatment of Dave Pelzer in his memoir, “A Child Called It.” The family bars Ella from pleasurable activities and does not allow her to eat in their presence. Her stepmother requires Ella to call her “madam.” The stepmother also rips apart a dress that Ella inherited from her mother. The stepmother also tells Ella, “You’re a ragged servant girl. That’s all you’ll ever be.” It’s brutal. I watched this one with my wife and two kids who are like nieces to us, a nine-year-old and a five-year-old. The nine-year-old’s review: “I liked it but not the sad parts.” The five-year-old: “I liked the part when she was a baby.” I agree with my young friends. There are happy moments, positive messages, and a happy ending, but there’s a lot of stuff that’s sad. Both of the kids I watched it with cried during the film, and I can imagine it being hard for young kids, and especially for viewers who have experienced mistreatment by adults in charge of them. It might be best-suited to ages 10 and up, and even then, parents should be there when their kids see it, and process it afterwards. This might also be a good one for parents to screen first. If you had a fairy godmother, what would you ask her to do for you? Is it worth showing kindness, even when people are unkind to you? What elements of Ella’s treatment by her stepmother are realistic? Which are unrealistic? The film suggests that “the greatest risk is to be seen as we truly are.” What do you think about that?